Well that’s it then… the year is over! Having woken up absolutely shattered this morning I decided I wasn’t going any further from the bed then the kitchen today. Of course the basis of that idea was then to have a quiet day in bed… making just one list or two of things I really REALLY need to do over the next couple of weeks and maybe get the filing sorted ready to be actually filed! Hmmmmm… wasn’t that all just a simple plan… NOT! There’s so much to be done I decided to work backwards in my diar from Boxing Day and shockingly, just about everyday is accountable for and that’s not even including all the school bits and pieces. What can I say… I’m doomed! Anyways, before this pity party turns into a slumber party, which it already has as I fell asleep editing the photo (how sad is THAT and now it’s three days later… I tell you, I doomed! 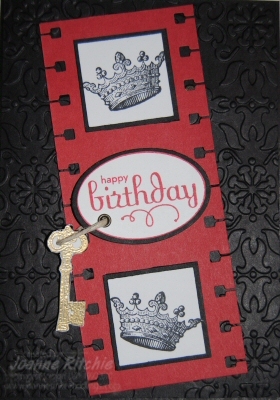 ), here’s the third and last card of my Artistic Etchings series. 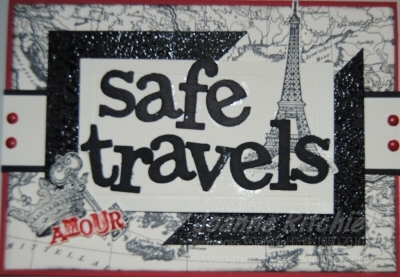 This is my Bon Voyage or “Safe Travels” card. I must confess, I rather like this one. I think because it’s much more my old style as there is a LOT going on! 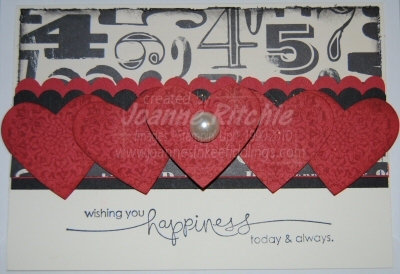 With the other stamps I’ve stamped those with Black StazOn then cut them out, with exception of the Amour. Amour has been stamped with Read Red then I’ve cleared embossed over it. And something that the camera isn’t really picking up is how I’ve scored approximately 6mm in all around the edge of the Very Vanilla Rectangle. I’m loving that scoring accent! And here’s Life Lesson #589… DON’T do an hour of gardening, planting three dozen plants, at 6am on the morning of Melbourne Cup. Let me tell you, by 1.30 this afternoon I’d hit the wall – my automatic smile went on whilst my energy levels went off. My poor friend sitting next to me must have thought she’d hit the zombie jackpot with me – sorry! But don’t you love how this is the one day of the year that no matter who you are or where you are, everyone wants to know “did you back the winner?” “Who was the winner?” I was surprised to hear that even the children were taken down to their hall this afternoon to watch the race… it really is the race that stops the nation! This was me after our garage sale on Saturday. Many thanks to everyone for their support – it was all very much appreciated I can assure you! The day went surprising quickly given Master Nine and I were out putting up our signs at 5.30am, with our first potential customer arriving not long thereafter and we continued on until 2pm when we closed the garage door. I managed to keep my eyes open until 7pm before falling asleep, only to wake at 11pm wide awake for the three hours… aaaahhhh! But get this, even after the week that was I was still expecting to get into the Studio today for a bit of creating… HA, AS IF! So, with hands on hips tonight I wondered what I had before spying three cards I haven’t yet shared with you. 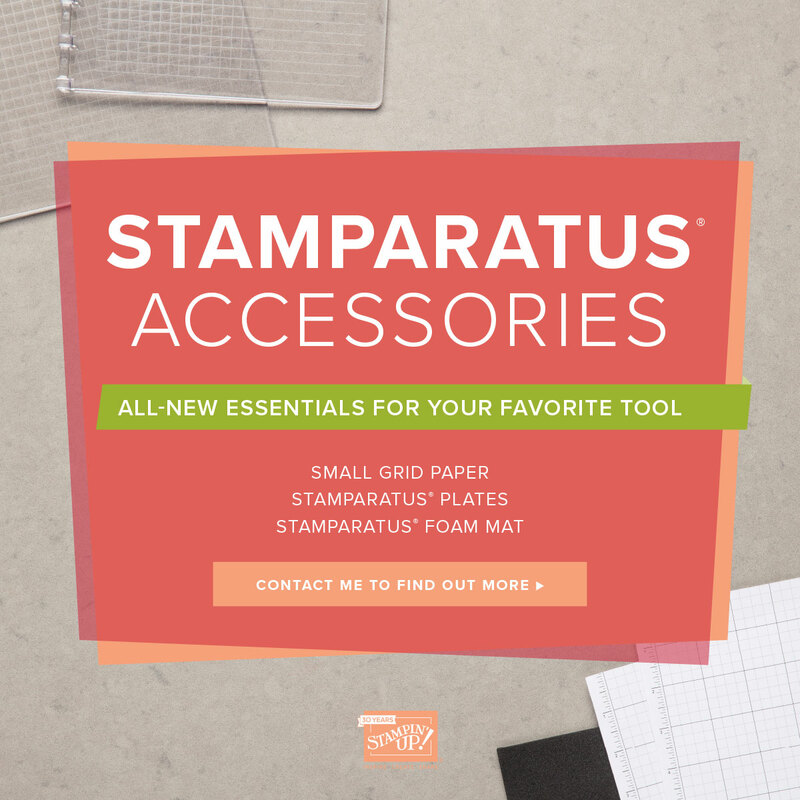 The reason I haven’t yet shared these was because they were going to be October’s Make & Takes, then when I postponed classes until next year I was keeping these for February’s Make & Takes but today I was able to pre-order from the Summer Mini Catalogue that Stampin’ Up! 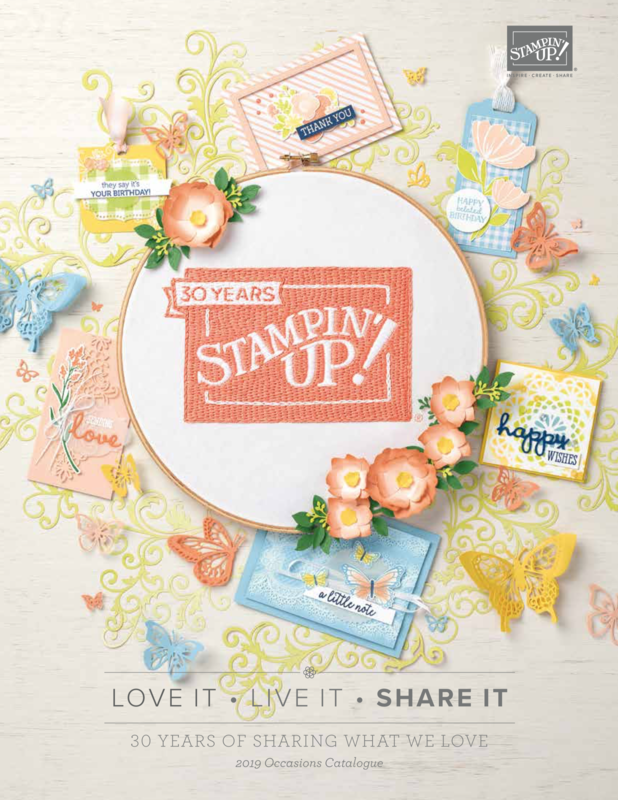 is releasing next month and there’s a set in there that will be perfect for February’s Make & Take so now I’ll share! 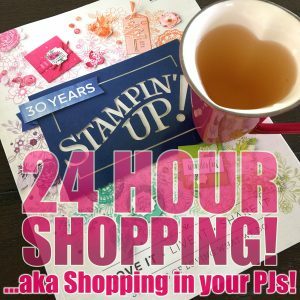 You may remember the purpose of my Make and Take classes is to highlight just the one set of stamps, showing you how to get three very different looks. 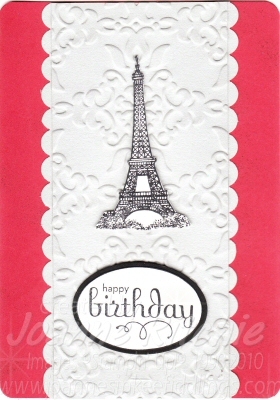 (Don’t you hate those classes where you’ve used stamps from at least three sets, then you find out at least of those sets is retired… very frustrating to say the least…) Most times I aim to do a male, female, and child;s card but given the Eiffel Tower stamp in this Artistic Etchings stamp set, I felt on this occasion we could omit the child’s card and do a bon voyage card instead. This card tonight was my “male” orientated card. I thought male through the repeated use of the crown which I believe is more male in style than female but hey, maybe that’s just me! When did the wrappings on cucumbers change? And you don’t have to tell me I already know what you’re going to say… I need to get out more… LOL! Apart from the grocery shop first thing this morning, nothing else on my list was achieved but nevertheless, it was still a good day. I feel my fog is lifting. Fingers-crossed! There’s a good chance you are tilting your head right now asking yourself why this card looks familiar and that’s because I did something very similar with water-colouring not so long ago. This was the original card. I was very eager to play with my Crumb Cake Classic Ink that had just arrived. 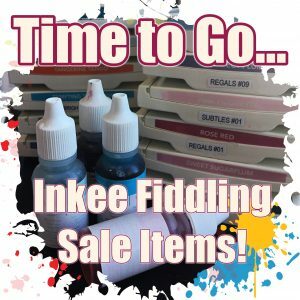 It was ink at first sight – I just love the colour! For this card the base is Baja Breeze with Crumb Cake bordering the Whisper White. 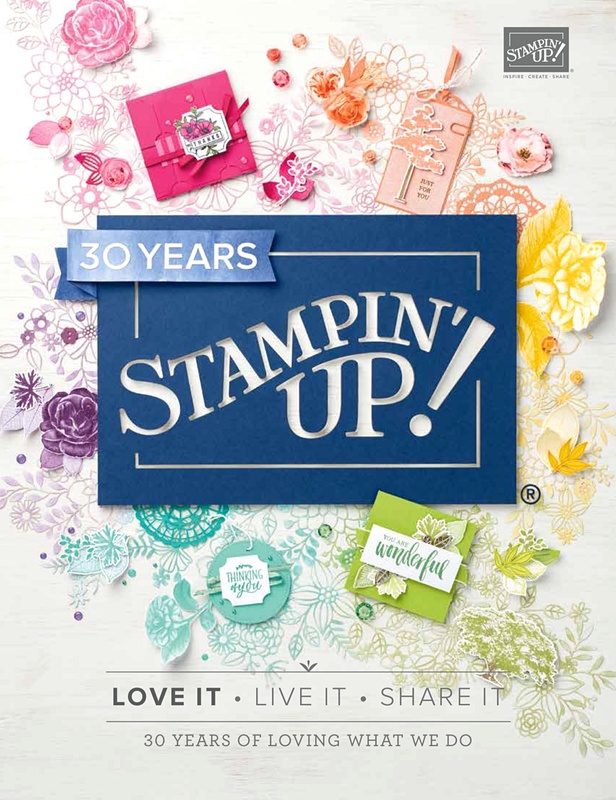 I just love the Elements of Style stamp set. 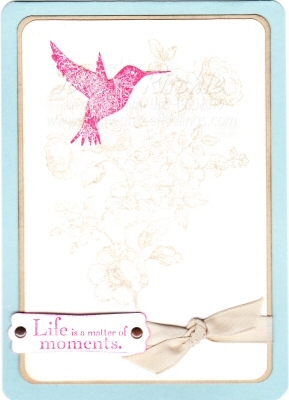 The bird is stamped in Riding Hood Red and sprinkled with dazzling diamonds. I have to say I also rather like the Crumb Cake taffeta ribbon. What’s NOT to love about Crumb Cake?! just long enough at least for me to catch up. That’s all, as it seems lately that the more I have to do the less I actually do… not that it’s helped having my two little darlings home these past two days for one reason or another. Anyways… enough of my boohoo blues, here’s a card that lifts my spirits as anything with the Eiffel Tower makes me smile as it always reminds me of the day we spent at the Eiffel Tower when the children were just five and three. What a fabulous day – we arrived before 8am and didn’t leave until almost 4pm – and that’s NOT because we were queued all that time. In actual fact we were very close to the top of the queue (thanks to it being so overcast and cold), no, we stopped and explored EVERY facet of the Eiffel Tower, ate chocolate crepes for morning tea, admired the view from all 360 degrees before finishing the day off with lunch in the VERY posh restaurant! Yes, it cost an absolute fortune (especially when my hubby and I thought the champagne was extremely well priced considering where we were – it wasn’t until the bill came that we realised the price wasn’t per bottle but per GLASS… and we’d had four glasses thinking we were getting our monies worth from the bottle – LOL!) but what a story heh?! Given the amount of embossing within the brushed silver, what I’ve endeavoured to do (but can’t really see from this photo) is to attempt to give the Eiffel Tower depth. I’ve achieved this by stamping in black StazOn twice on Whisper White, cutting both out the best I could, sticky one then adding dimensionals to the the next for the layered-full affect. Another thing the photo hasn’t really shown is the spritzing I’ve done on the card background. You know me, I can’t just have plain cardstock at the back, I have to add a little something 🙂 I’ve also used sticky strip rather then the regular snail on the Brushed Silver simply as I feel with all the embossing it gives the metallic cardstock extra “stay-on” power!